I’m always talking about waste. I hate waste – it’s such a…well, a waste. 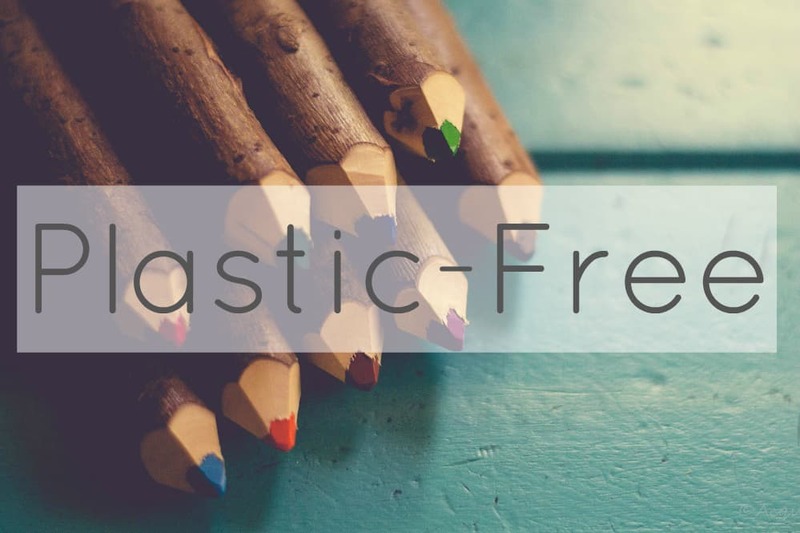 Plastic-free and zero waste; these are two of the ideals that I aspire to at home. The plastic-free thing I’ve pretty much got sussed these days, excluding the occasional no-option-but-to-get-it-with-some-kind-of-plastic-included or the arghh-there’s-sneaky-plastic-underneath-the-cardboard purchases. 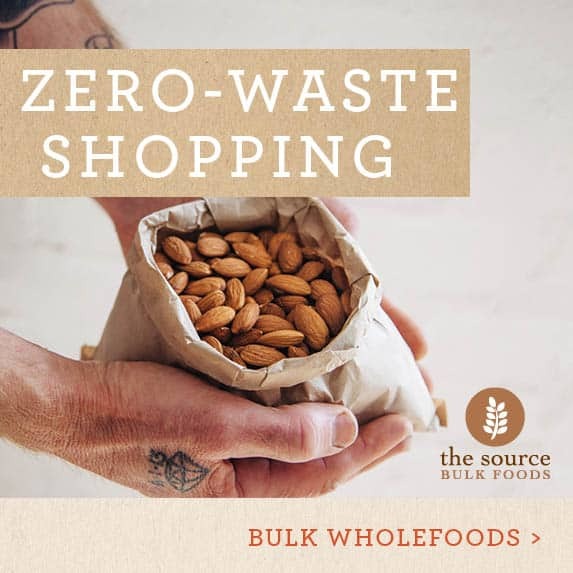 But zero waste? How am I doing with that? 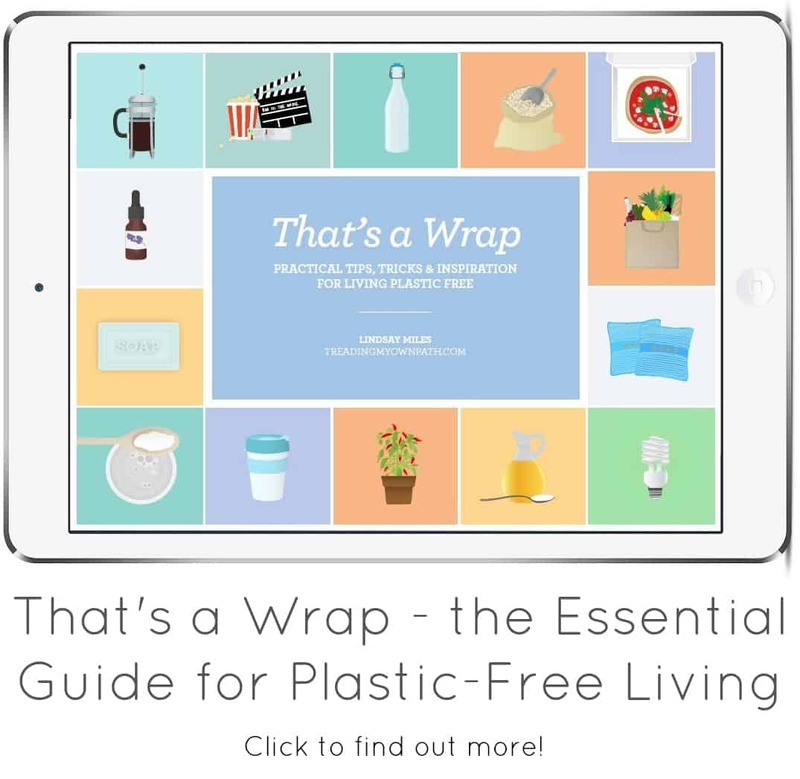 When I first started living without plastic two years ago, the first challenge was to find alternatives packaged in glass, paper, tin and cardboard. It was easy enough, but the amount of recycling I was producing went through the roof! This was because I hadn’t actually cut down on my packaging as such, I’d just changed the materials my goods were packaged in – and these were a lot bulkier and heavier than the plastic had been. I may have cut out the plastic – but I didn’t feel much more sustainable. 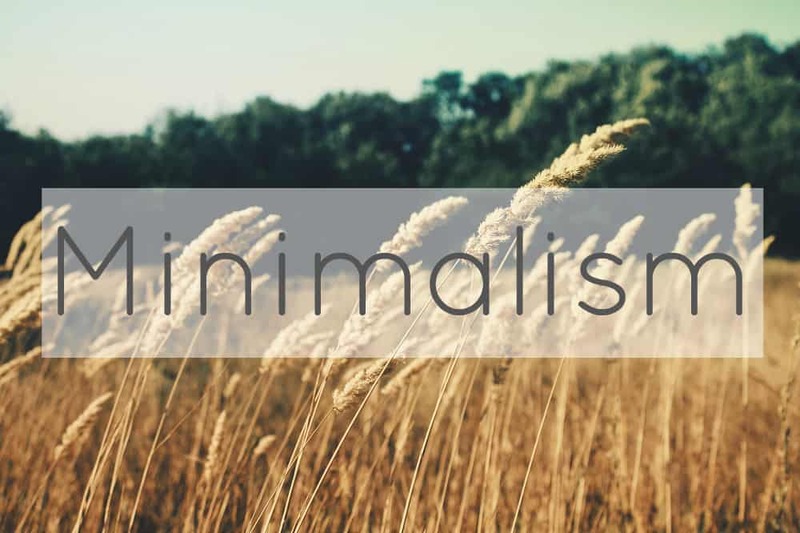 Then there’s my love of simple living and my interest in minimalism. I like living in a small space, but I have a tendency towards hoarding. I hate waste, remember?! This means I hate to get rid of things. 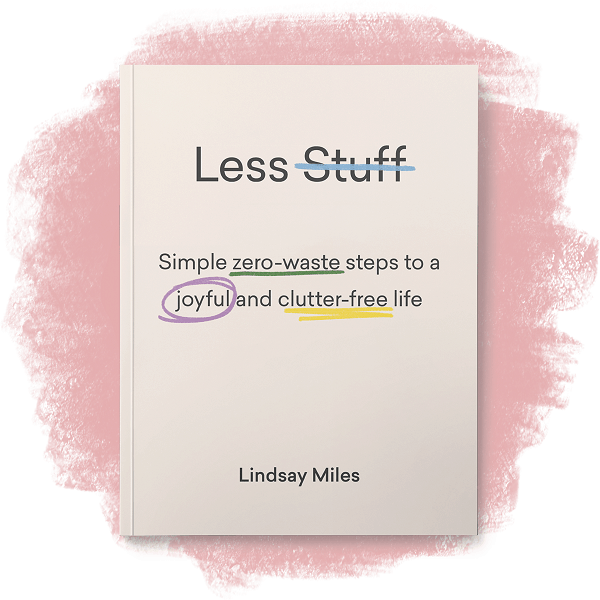 Storing things that might be useful needs space though, and creates more housework, clutter and time spent complaining about the mess. My conclusion: if I can’t get rid of things easily, I realised I needed to prevent them entering the house in the first place! And yes, that includes packaging. 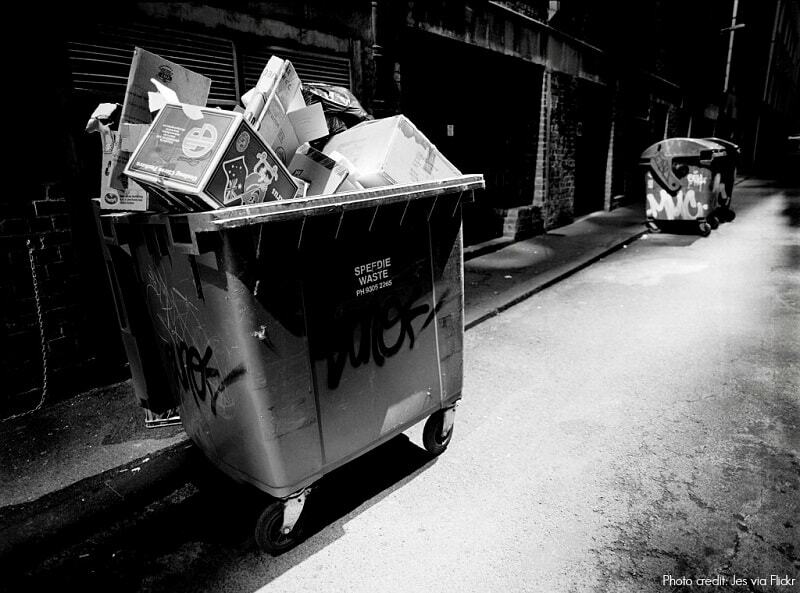 When I found out that only 20% of the glass that is put into recycling bins in Perth is actually recycled (as roadbase – the rest goes to landfill) – well that was the final straw. 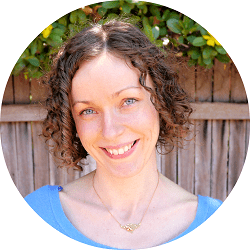 It made me realise I needed to rethink packaging altogether, and my zero waste dream began. I’ve made some great progress since those days. 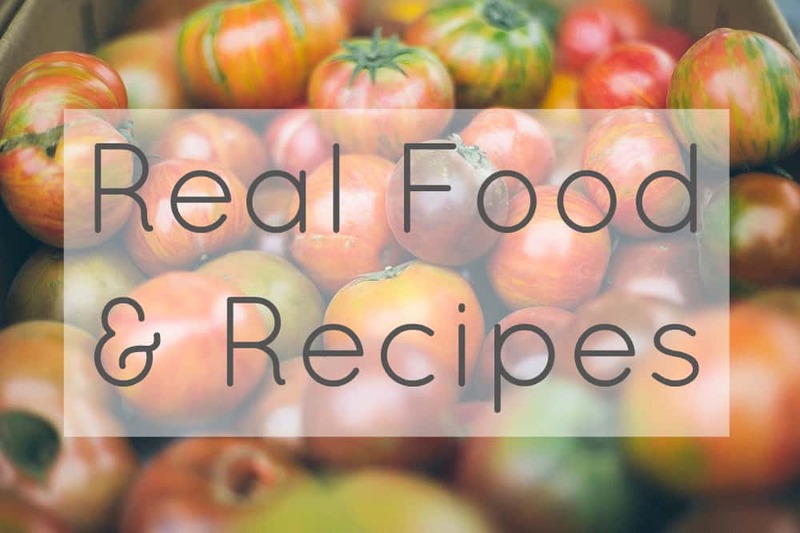 I made a worm farm to deal with most of my food scraps; I shop at the bulk bin stores (bringing my own bags, jars and bottles) and I use returnable containers as much as possible (this post is all about my progress towards a zero waste kitchen). We finally got a junk mail sticker for our letterbox to stop receiving all of those unnecessary catalogues. Despite our progress, however, our recycling bin seems perpetually full. We also still need a bin for the kitchen, because the worms just don’t eat all the food scraps we produce. Partly because we produce too many, but also because they don’t like onions, citrus peel and eggshells. Fusspots. I thought an audit of our waste might be useful, to see what we’re actually chucking away and to see if there’s anything we can do about it. Sometimes it’s good to question our habits, and see if we can make changes. If I can reduce our waste permanently as a result, then that would be great. 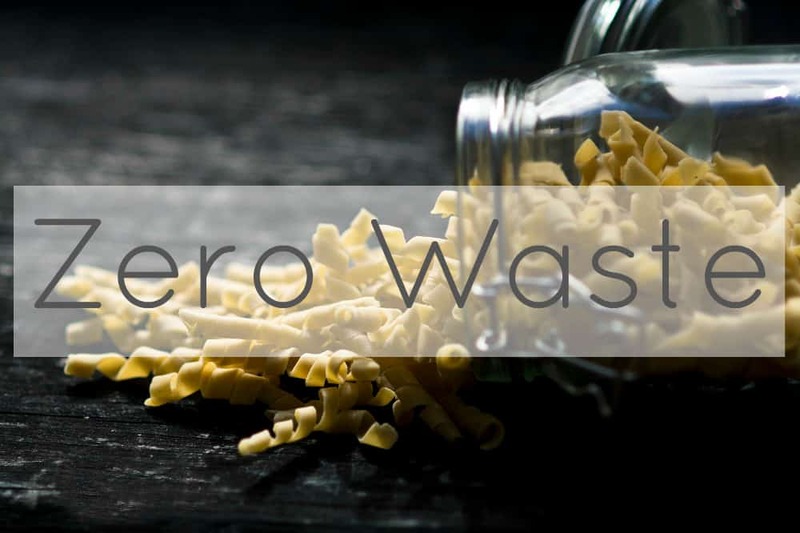 So next week I’ve declared zero waste week. The goal is to attempt to produce zero waste for the week. Waste is anything that leaves the flat. This means rubbish (landfill) and recycling. 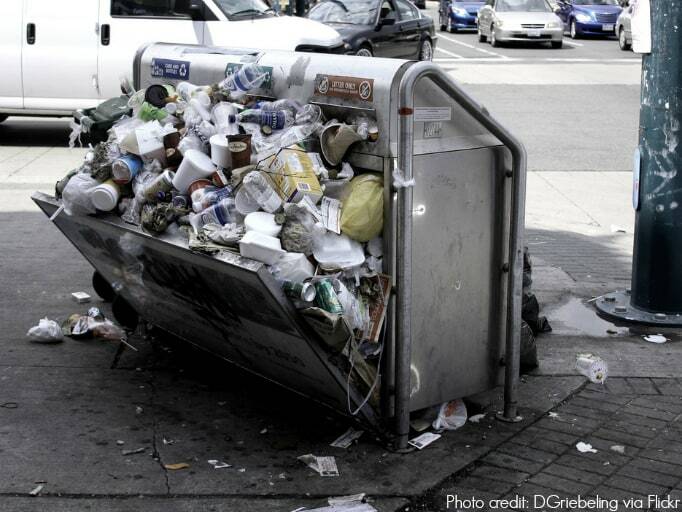 Recycling is still waste, and we should all be trying to recycle as little as possible! Food waste given to the worms in the worm farm does not count as waste. In the interests of hygiene I can’t just refuse to empty my bin should it need emptying, so every day, starting from Monday, I’m going to record what (if anything) gets discarded. By Sunday I’ll have compiled a Wall of Shame with a list of all the things that I couldn’t deal with myself and had to dispose of…and that will give me some new goals to work towards! It’s always nice to have company, and I’d love it if you joined me! I’ll be updating my progress on Facebook and Twitter, and if you want to give it a go I’d love you to share your stories too! Of course you can comment here as well, and if you just want to sit back and watch I’ll write another blog post once it’s over. But that would be boring! What do you say? Want to give it a go? C’mon, it’ll be fun! Who’s with me?! 19 Comments • Leave a comment! Thanks! Day one is going well so far : ) Already made a couple of adjustments to the way we do things that I’ve been meaning to look into for ages – you’ll have to read my next blog posts for details! Hoarding is my natural instinct, but slowly slowly I’ve let go of more and more stuff. The instinct is still there but the minimalist muscle is getting stronger! We can do it! Lindsay, you are the neatest hoarder and I know hoarders. Courageous endeavor, for sure! Be interested in knowing how you do. Good luck! Haha, thanks! I don’t feel like it’s courageous – I feel it’s going to be easy! Maybe I’m too naive… guess I’ll find out soon enough! To me, it doesn’t seem too easy–but then these things can vary a lot from country to country. But I’m cheering for you, anyway! LOL! Well, as far as Real Food, yes, Italy is easier. In fact when we came here 25 yrs. ago junk food was almost non-existent! But we are offered few alternatives to other things, as a whole. There is no green electricity to choose, for example. I am grateful that our area does not have a landfill!! All the trash gets sorted and sent to the proper recylying places. So that’s a positive. Perhaps our biggest problem is that our tiny town doesn’t offer many choices. If we drive down to the city we get more of them. But when we consider the fuel consumption, then I start wondering how ‘green’ of a choice it is!! I’m glad you get to try mini-composting, though! I love composting (especially because my husband does it), and each time I throw food peels, etc. in there, I say ‘future lettuce’!! Wow! Not having a landfill is pretty awesome. Goes to show, nothing is really waste. I totally agree with you about compromising. We don’t have a car but some things/places are hard to get to without one. We could be greener if we had a car – except we wouldn’t be green as we’d have a car! I assume you would combine your trips to make them worthwhile though! Now you have me wondering what happens to the other 80% of the glass that is turned in to be recycled, but isn’t. That statistic is specific to Perth, but the answer = landfill. In fact, the recycling centre where I first learned this shocking fact didn’t recycle ANY glass – they sent it all to landfill, because they didn’t have hand pickers, and to have high quality glass to truck to Adelaide (the next state, and the nearest glass recycler) they needed to ensure it wasn’t contaminated. It’s a long way to truck waste only to have it sent back as not good enough. I think this is where my obsession with reducing my waste began! You think you’re doing the right thing (they want us to think that) but it’s all a big con! I’ve got a couple of potential solutions for your citrus rinds though, as I looked into this a few years ago. I candy our orange rinds and then dip them in chocolate, which not only reduces our waste, but gives us christmas gifts of heaps of friends each year and I reuse the left over syrup as a maple syrup substitute. Our lemon (and occasionally mandarin or grapefruit) rinds I make into chutney – again these are good gifts and go really well with home made curry. We’ve generally just reduced how many onions we cook with (hari krishna cook books can give good ideas on how to do that as they don’t use them) and I tend not to worry too much about feeding onion skins to worms as use them to make vegie stock first so I figure some of their ‘strength’ has been reduced. Eggshells I always just added to the worm farm and didn’t worry the didn’t break down quickly. You can also dry the shells and grind them as a direct calcium addition to your pot plants as well. Wow, so much to reply to! 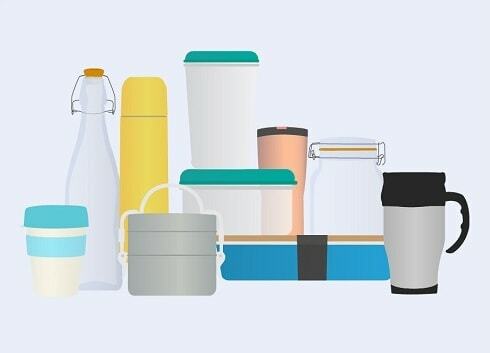 First up, yes it is great to have a milk bottle return scheme, but I am jealous of Bea Johnson who can get wine refills rather than buying bottles! I guess we all have things that work near us, but very few have everything! Have you ever tried nut milk? (Don’t scoff!) It doesn’t work as a substitute for everything but cashews in particular are great to add to soup to make them creamy, for making hot chocolate, for smoothies and as milk on muesli. Depending on what you’re making of course, but often you cannot tell the difference. And broken cashew pieces are cheap, and they don’t go off just when you need them! It might help reduce your milk bottle consumption a bit. I did not know Hari Krishna didn’t use onions – do you know why not?! I used to wash and grind my eggshells to powder in England when I had my allotment. I think I’ll start doing it again, even though I don’t really have many pot plants yet – at least that way I can save it all up for when I do! I think if my worm farm was bigger I wouldn’t worry, but because space is restricted I don’t like to fill it up with stuff that takes forever to break down. Zero waste week was enlightening, that’s for sure! I’ve got a wine refill company within easy reach, but I’d much rather a milk scheme. I’ve seen milk stations in Spain and NZ where the consumer can fill up their own containers, that’s what I’d love to see here! That’s not to say I scoff at nut milk, but when I’ve made almond milk in the past I find it separates and doesn’t taste as good after a few days or if I freeze it so I haven’t felt it was a regular solution for me. In a large saucepan heat 1 tablespoon of oil and fry 1kg of chopped onions until clear (take care not to brown them). Cook, simmering slowly for 1 hour and then bottle into hot sterilized jars. Delicious! Waste free milk would be good! Cashew milk doesn’t separate like almond milk but I doubt it would freeze well. The worst one I ever made in terms of separating was sunflower seed milk (you can see the pic here https://treadingmyownpath.com/2013/07/29/experimenting-with-seed-milks/) – it tasted fine but looked very weird! That article about onion/garlic was very interesting!